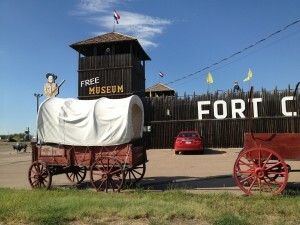 I did so many things on my roadtrip and saw so many sights that I have to say it will take me more time to get each day put together for the blog! 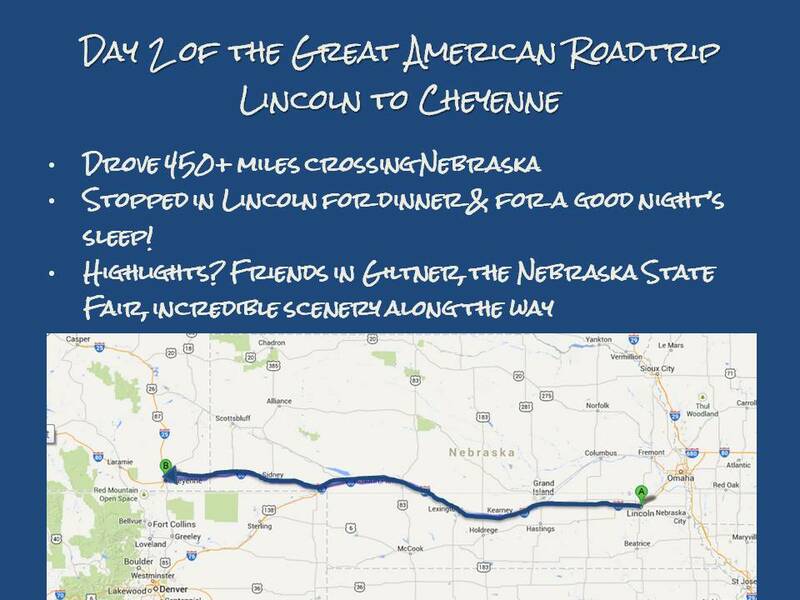 Today’s post is about my second day of the trip — a day that started in Lincoln, Nebraska on the far eastern side of the state and ended not too far after I entered Wyoming in the city of Cheyenne. 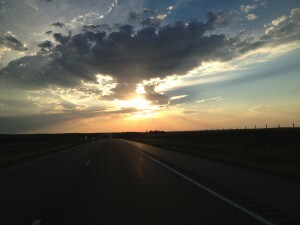 I have to admit that traveling via interstate with only slight diversions isn’t my idea of a really good roadtrip, but I was also balancing the need to get a great distance in a day with the reality that I needed to take breaks along the way to keep my mind and body from rejecting the idea. LOL. 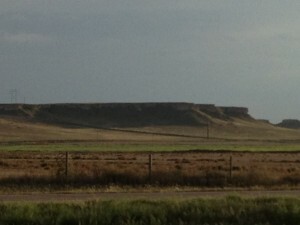 So on day 2 I drove Interstate 80 more than 400 miles west. Since my first day on the road ended in Lincoln, Nebraska, it was the start of day two. I didn’t hang out in Lincoln too long though, I basically got up and ate a good breakfast and started my roadtrip diary for the day with a video outside the restaurant we had eaten in the night before — Lazlo’s which is a local brew pub. It was so funny that I had somehow booked a room at the Hampton Inn which is immediately next door to the restaurant Rachel & Dave wanted to go to, but that bit of serendipity made a good backdrop for some video. The only other stop for me that morning was Target — I needed to buy a multi-USB power supply for the car. Somehow I got in the car without it and it was annoying to have to choose whether to charge my phone or the GPS throughout day one. The only real standout for me in Lincoln on day 2 was the fact it was the football season home opener for the Nebraska Cornhuskers. The Wyoming Cowboys were in town and I found myself in a red sea…. luckily my red car seemed to fit right in! 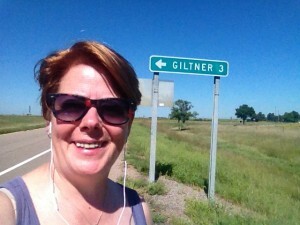 Ever Heard of Giltner, Nebraska? 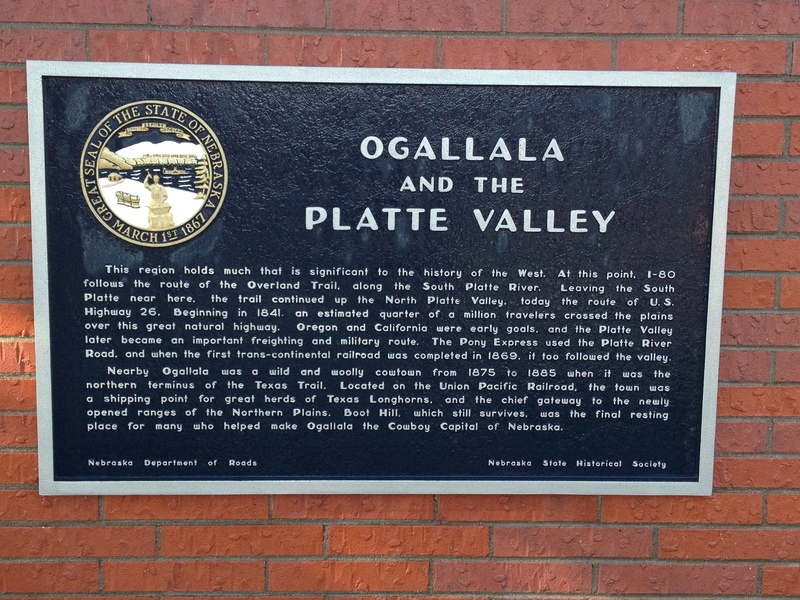 I have to say Giltner, Nebraska may not be on everyone’s must see list, BUT it is a town that is home for several friends and that, combined with the fact it was right along the interstate was plenty of reason for me to stop and say hello! 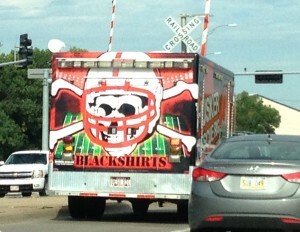 So what is Giltner like? It is like thousands of small towns around the U.S. There is a bank, an elevator (ie big grain storage center), a farm supply and a cafe/bar. 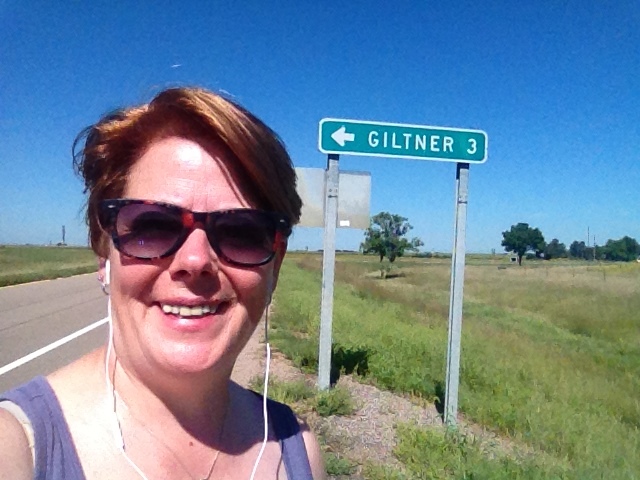 There’s a welcome to Giltner sign that expresses the friendly nature of the farmers, school teachers, etc. who call it home. 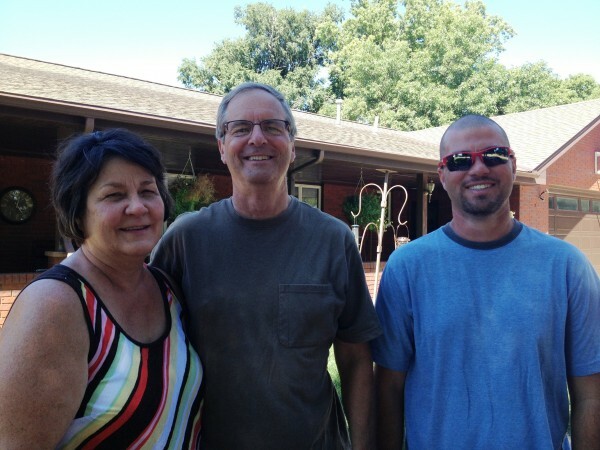 Brandon Hunnicutt (@cornfedfarmer on Twitter) lives in the area as does a lot of his family — I met his mom & dad, even snapped a quick family photo! But didn’t have a chance to catch up with Zach or Anna Hunnicutt but I get to see them more often it seems. And they share LOTS of photos through their zjhunn and hunnidue instagram accounts. 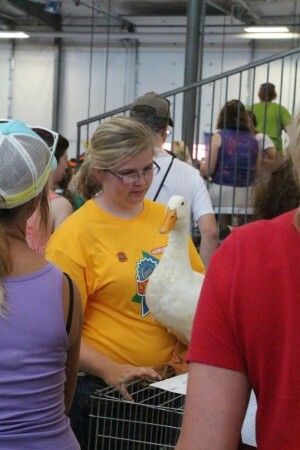 Some of you may remember, it wasn’t that long ago since I went to my first state fair. It was the Iowa State Fair & I had a fantastically full day. 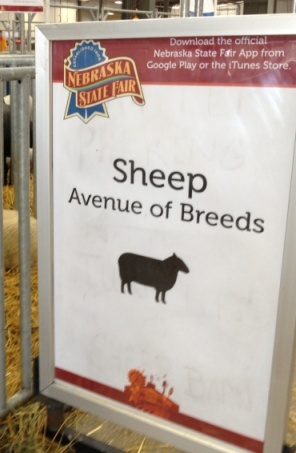 Granted, I wasn’t able to spend that much time at the Nebraska State Fair, but the time I had there was pretty awesome! The Nebraska State Fair is held at a permanent site in Grand Island, which is sort of new from what I hear (and my experience matched that). As I came through the main gate, there were pirate acrobats right there. 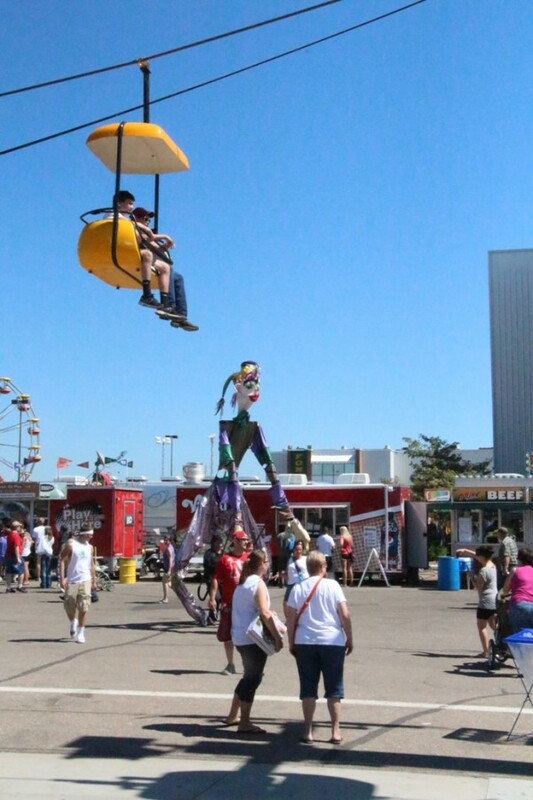 That was part of the city experience that was what fairs have always been for me! I have always loved watching circus-type performers and these guys were so fun I shot some video of them! As I walked in, there were vendors of all kinds — food savers, cook books, hearing aids, etc. I have to admit I was pretty bored until I came upon the farm display that is made out of cans! I mean just check this pup out! 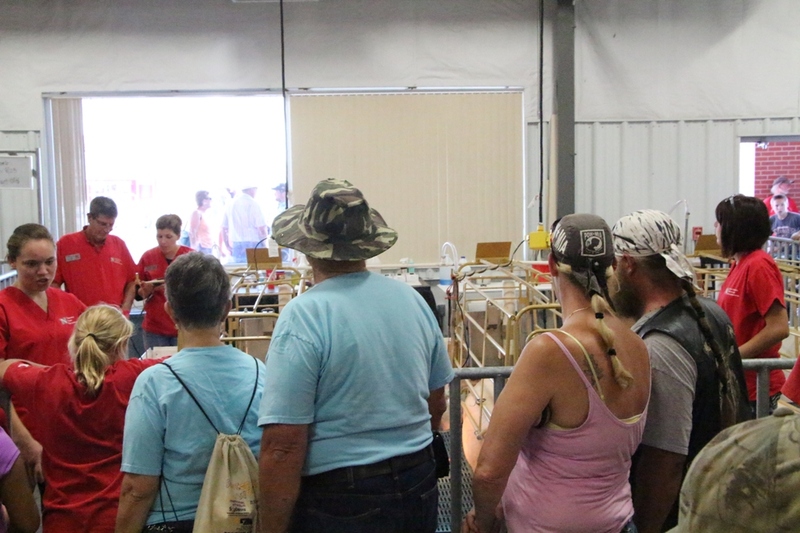 There were lots of groups on-site answering all the questions people had about agriculture and the environment, food, etc. There was even an interactive exhibit where you could milk a cow! Yes, it is included in the video too! There are several barns that I had the chance to walk through and check out. 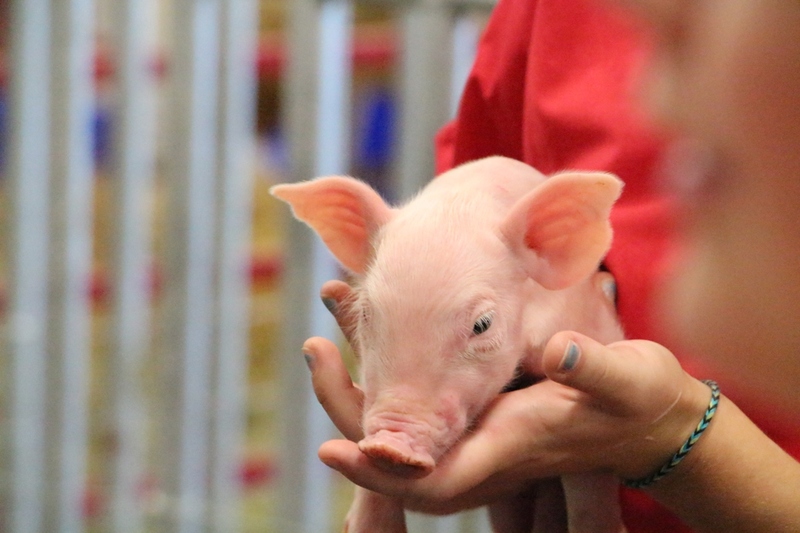 First up, was the animal learning center where students spend their days caring for animals and helping others understand how it is that livestock is born. There were new piglets, calves, chicks, etc and college students to talk about what is happening and answer any questions the public has. It is a lot like the animal learning center I saw at the Iowa State Fair in some of the activities & outcomes but it’s not nearly as large. There were students getting their ducks, chickens and roosters together to show in one of the first barns I went to. You can see each student is a little nervous hoping everything goes well. 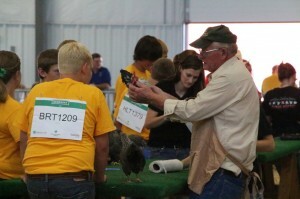 They have put in a lot of time and effort with the animals, in breeding, training, etc and the judges are careful in their review. 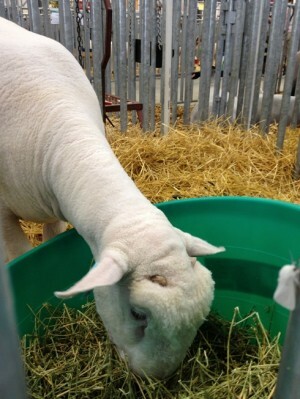 It reminds me of the first livestock show that I attended…. wow I have learned a lot since then! 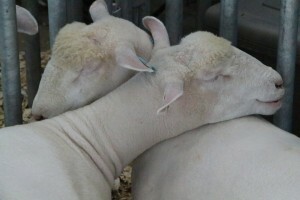 You also see all the different livestock breeds in the barns with some of the call outs too. I enjoyed seeing the sheep…. especially the twins. 🙂 It was also fun to see Nebraska’s largest steer. And as with any fair, there was great food. I had a snow cone (like I said it was hot!) and for lunch, I went to the cattlemen’s beef pit and had a great sandwich. Sadly, I missed my friend Hillary Maricle there but dang the sandwich was good. AND I got this great bumpersticker. 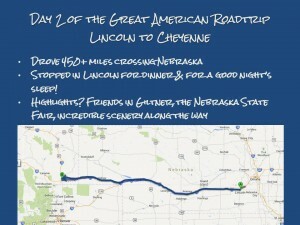 Having spent quite a bit of time soaking up the fair and having Cheyenne as my goal for the night, I made tracks most of the afternoon/early evening. Stopping only briefly to take photos, stretch my legs, grab a snack or run to the bathroom. Here’s what I was looking at. It went from prairie (various degrees of rolling hills in it, to the flat High Plains and finally to the sand hills with a much drier feel and a lot more focus on water. 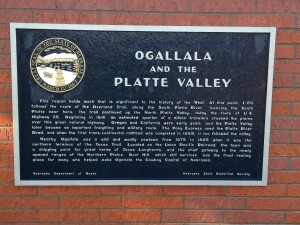 I even came across the home of Buffalo Bill Cody! As I do these posts, I have to wonder whether I’m writing about the right things or sharing information others think is at all interesting. So please let me know what you think! That is too funny! Wonder if some of the other kids I photographed are students of your…. Have a lot of pics I didn’t use!